It’s been exciting to watch the recent developments in using stem cells as the basis for treatments for Type I Diabetes. One of the major players in this arena is the privately-held company, ViaCyte. 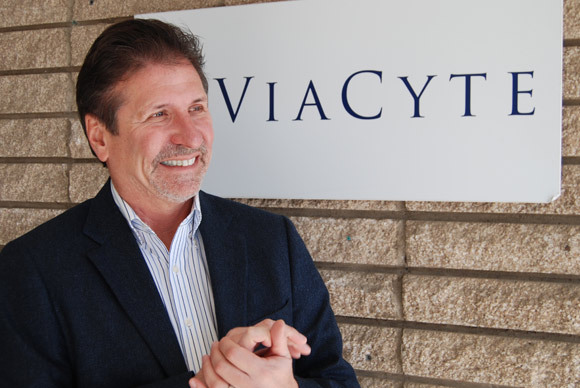 In this post, I interview ViaCyte President and CEO, Paul Laikind. The topics include their VC-01 product, the Encaptra device, an update on their clinical trial, the healthy competition with Doug Melton, and future perspectives. Can you give an update on the VC-01 clinical trial? Answer: We’ve enrolled four patients in the trial as of last week. The first cohort is receiving a sub-therapeutic dose with the focus on safety and tolerance. We are also including sentinels. Enrollment is currently limited to adults (age 18-55), male or female (of non-child bearing potential). They must be C-peptide negative and thus have essentially no ability to produce insulin. We are seeking to enroll patients with a stable presentation. Is there a target date for full enrollment of 40 patients? Answer: We will most likely have six patients in the first cohort (met by mid this year) and then another 36 in the second cohort (filled sometime in 2016). Patient numbers could change though. While it is difficult to predict this early in the study, based on current projections, we expect that an initial evaluation of efficacy could occur in mid to late 2016 However, patients will continue with the implanted device for two years. Can you tell me more about the details of the trial? Answer: It’s a dose-escalation trial. 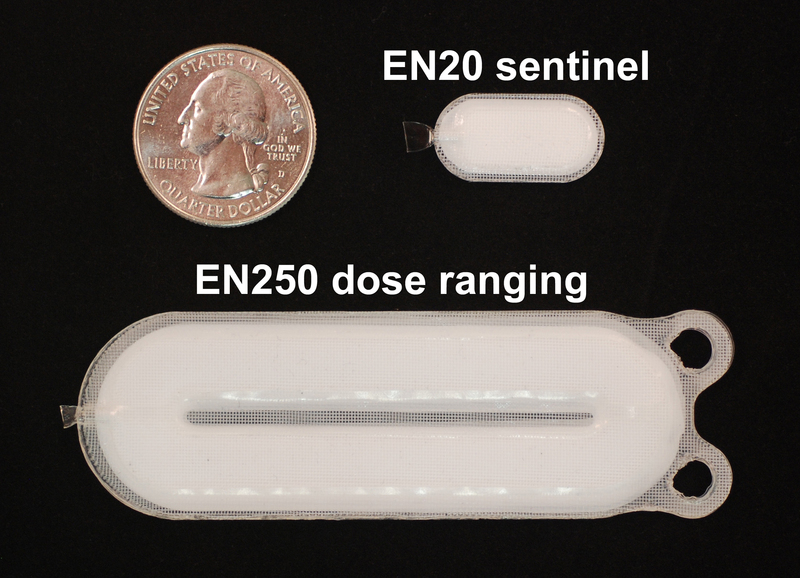 The first cohort is sub-therapeutic and these patients will have two Encaptra-250 (EN250) “dose ranging” implants. The second cohort will have an increased dose where we seek to achieve efficacy. For the second cohort we estimate patients will have four to six dose ranging units implanted. Looking to the future for the predicted actual commercial product, it will have a larger capacity with three to four times as many cells as in one current EN250. With the commercial product, the goal is to treat patients with only one or two units implanted. The sentinels are a novel approach to monitoring and data collection. How do these work and what is their make up? Answer: The sentinels are called EN20s. They are a smaller size, about the size of a dime versus EN250, which is about half the size of a business card. During the trial, the EN20s will be withdrawn periodically from patients and analyzed histologically. The sentinels are a tremendous tool for maximizing the potential of the product. With them, we can monitor progress, troubleshoot issues, examine different surgical techniques, location, etc. The sentinels were met with enthusiasm by regulators. What are the product placement options? Answer: There are several product placement options. We are currently focusing on placement in the lower back. The reason for that placement is that while the device can withstand the impact of a 60 mph baseball (based on cadaver testing), a needle could go right through it, so we want to put it where patients don’t typically inject insulin. What about the function of the capsule? Answer: The theory is that the capsule will protect the cells from the patient’s immune system and thus avoid the need for immunosuppression. We are testing that in this trial. It prevents cells going in or out, but allows for proteins and smaller molecules to traverse the semipermeable membrane. Doug Melton has been quoted as being “worried” that ViaCyte technology won’t work (e.g. http://www.technologyreview.com/featuredstory/535036/a-pancreas-in-a-capsule/). He raised concerns more specifically about the Encaptra capsule, for example, functionally becoming fibrotic and mentioned worries about your cells being immature and taking a long time to mature. Any response on capsule and cells? He also has suggested that his beta cells will be a better option. Answer: Dr. Melton’s work on the beta cell is very interesting. As to the cells, we made the choice to use the pancreatic progenitor cells. An important consideration is that when you first put in cells, they are in a hypoxic environment. Beta cells are sensitive to low oxygen levels, which can negatively affect their survival and function. Beta cells typically exist in a mature highly vascularized organ. The pancreatic progenitor cells that we use undergo an organogenesis-like process, more similar to how they behave in nature, and thus we believe they should be better able to handle low oxygen. They also are believed to release angiogenic and other factors to promote vascularization. In regards to the capsule, we do expect there to be a foreign body reaction in patients after implantation, which will generate a fibrotic capsule. In fact, we see a thin fibrotic capsule around the device in mice. But in the mouse model this capsule around the device is very well vascularized. The vasculature is right up against the device membrane on the outside, allowing for oxygen and nutrient diffusion to the cells inside. How do you view the time to maturation issue? Answer: We do not feel the maturation time of two to three months for our cells in vivo is a concern. For example, the comment has been made by some that by implanting a more mature beta cell you avoid a delay. We question that. One, while the in vitro beta cells that have been described in recent publications are relatively more mature, they are still not actually fully mature differentiated beta cells. Two, maybe more important is the issue that, more generally, grafts take time. If you put in a product made with beta cells that’s not vascularized, it will likely take time to become effective, assuming it survives the implant. Furthermore, in talking with patients, if you’ve been living with this disease your whole life, a couple months is a relatively negligible amount of time to have to wait for function. Another issue raised has been that progenitor cells produce mixed cell populations. Thoughts? Answer: We do put in cells that are designed to form the mixed cell population of the islet with multiple hormones produced. We view that as an upside. By producing something more like a full islet we have a potentially more effective way to treat the disease. For example, glucagon-producing alpha cells can be dysfunctional in type 1 diabetes as well, and we believe these can help prevent dangerous hypoglycemic episodes. Yes, this may impact the total cell numbers needed to produce blood sugar control, but based on our calculations it is within the capacity of our approach. Of course, that remains to be demonstrated in the clinical study. Answer: With both Dr. Melton and BetaLogics, we view it as healthy competition. Type 1 diabetes is a disease for which we need to find a better treatment and ideally a cure. There’s room in this area for multiple efforts and we aren’t especially concerned with competition. Yet we do feel we are ahead of others and we have substantial intellectual property that they will need to navigate (~50 patents issued in the United States, and a couple hundred pending patent applications, including international). At ViaCyte we view the real competition as the biology rather than with the efforts of others as we seek to cure this devastating disease. What has been the role of CIRM and JDRF funding? Answer: I can’t say enough about how important their support has been for the company. It has played a crucial role. We are focused on development of a transformative treatment for type 1 diabetes with stem cells. The valley of death is a real challenge to biotechs, and there is a very difficult financing environment for early stage, unproven technologies. CIRM and JDRF providing capital and in effect their endorsement has been crucial. What about the partnership with J&J? Answer: J&J has had an interest in this sector for some time. They became investors in the company via J&J Development Corporation. They’ve been strong investors for some time, and this last year we did a transaction with them that brought in $20 million. They have the right of first refusal. Overall, I view this as a long-standing and productive association. What about projecting price or costs during the commercialization phase? Answer: Should it be approved, the price will be partly dependent on how effective the product is. If animal data directly translate to humans (which admittedly doesn’t always happen) and there’s a functional cure where patients no longer have to use insulin, or have a reduction in insulin use, and do not have to constantly do blood tests, etc., then that would translate to savings for the healthcare system and influence how the product is priced. We also see value in how we are able to improve the quality of life for patients. If our product is able to reduce the drastic highs and lows that are so life threatening, we believe that could be very significant for patients as well. Where do you see ViaCyte in 5 years? Answer: Obviously, at this stage, predictions are very speculative. Five years from now we hope that we will have seen success with the VC-01 product and be moving to the market. Ideally it will have proven to be a major new approach for managing type 1 diabetes and possibly a functional cure. In addition, success with the VC-01 product will validate our two platform technologies, each with strong IP. The first is directed differentiation of embryonic stem cells to a target cell (e.g. pancreatic progenitor cells) in a regulatory compliant, reproducible, and scalable manner. The second platform is the Encaptra delivery device. We foresee multiple applications derived from these platform technologies. In summary, five years from now we hope to have made progress with the VC-01 product and have a pipeline of other new products. These could involve a variety of cell types but for the time being I’d say 95% of our efforts remain focused on the VC-01 product.